We are providing 10 days money back guarantee. Clean & Enchanting WHMCS Client Area Templates. Conversion Focused WHMCS Orderform Templates! An Exclusive Interview with WHMCS Team! We have been waiting for sometime to get connected to official WHMCS team, as we have a lot of queries relates to WHMCS in our mind. Since we all know that WHMCS is a very busy team so it’s been very hard for us to connect with them. Sadly we were not able to get answers from Matt- Founder of WHMCS due to his busy schedule, but his team has helped us to clear some of our doubts. 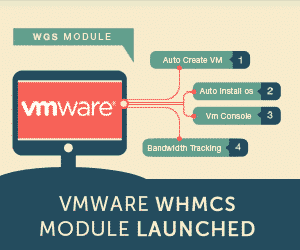 WGS TEAM: Hi Matt, our research shows that you the founder of WHMCS. But by chance, if someone doesn’t know you well, could you please introduce yourself and shed some light on your career journey till date? WHMCS TEAM: Before founding WHMCS, Matt operated his own hosting business. It was at this time a need was identified for a complete solution for hosting providers, to automate operations, support and billing in a single package. The software soon become more successful than the hosting operation, and so the decision to focus on developing WHMCS full-time was an easy one! WGS TEAM: WHMCS has crossed 13 years in the industry, seems like more than a decade. How did you shape the company in the initial stages? What kind of challenges did you face during your initial days? How did you overcome those problems and difficulties? WHMCS TEAM: In the early days; development, marketing, sales and support were all handled by Matt. It soon became apparent that more help was needed to handle customer enquiries, but finding and training staff to join the company was initially a challenge. Fortunately, with perseverance and hard work, we brought on some talented individuals in the early days, and they remain with the company to this day! WGS TEAM: Well we don’t know that you might be aware of us? We are actually WHMCS FREAKS 😉 Well hard thing to digest. Anyways; How do you feel when third party companies supporting WHMCS by offering custom WHMCS solutions like Modules, templates etc. WHMCS TEAM: One of the design considerations right from the early days was to make WHMCS modular, so that it could be easily expanded by anyone who wanted to. It’s very pleasing to see this has developed into an unparalleled ecosystem in our market, and that others are able to make a living from it! WGS TEAM: We have not seen any WHMCS meets or events happening in India, any future plans? WHMCS TEAM: We’ve attended HostingCon India in previous years. Whilst there’s no current plans to attend more events in future, we are at Cloudfest and cPanel Conference every year! WGS TEAM: What are your thoughts for moving towards ecommerce industry? WHMCS TEAM: Ecommerce is growing in all markets. The move to mobile is here to stay, so it was important to use to ensure WHMCS offered a native mobile-responsive experience, which we achieved a few years ago. The hosting space is undergoing rounds of consolidation at present, so our aim is to help our users become more profitable by selling value-added services complimenting the base website hosting. Do you have any questions in your mind? Mention them in the comments so that we can compile them for a next interview round with WHMCS team. How to make your Web Hosting Business stand out among your Competitors? WGS WHMCS deals with the wide range of functionality integrations for your WHMCS platform. Our main aim is to simplify all the operations for WHMCS users while introducing the automation factor. We always value our clients by offering affordable packages to fulfill their needs.